NAD’s M17 processor has been updated to V2 guise. Welcomes the new functionality. 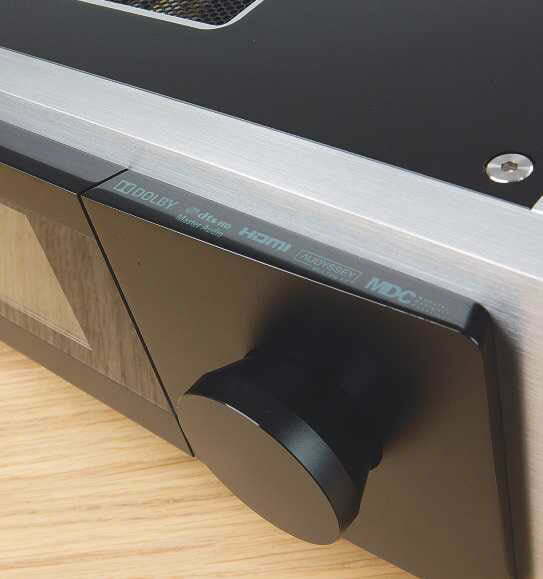 Read our NAD M17 V2 Review. 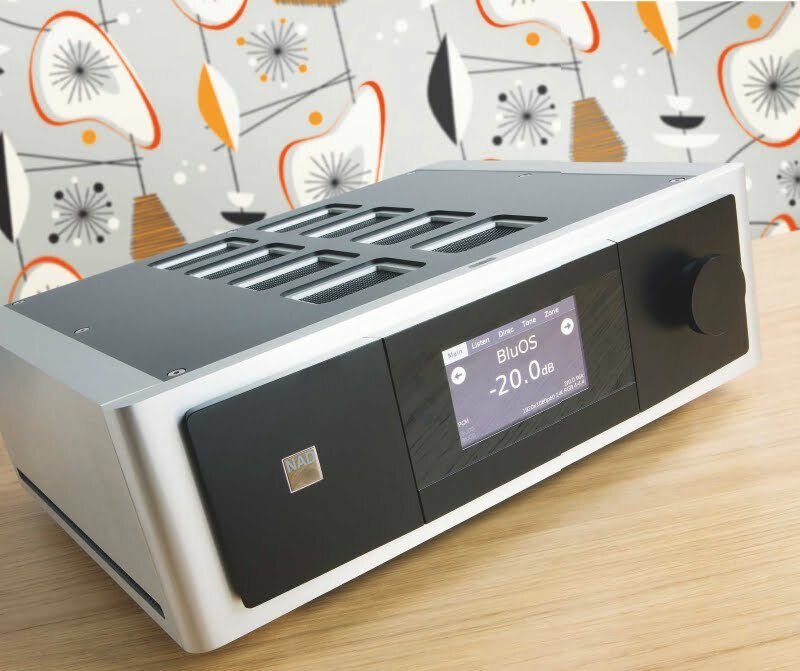 The NAD Masters Series M17 on test here uses MDC to upgrade specs to ‘V2’ status, replacing the original digital audio and HDMI MDC modules of the previous M17 [see HCC #245], with a new AM 17 Atmos/SPDIF/Dirac module, and VM 300 4K HDMI and LAN module. The latter adds HDMI 2.0 with support for 4K/60p at 4:4:4, High Dynamic Range (HDR10 and Dolby Vision), and HDCP 2.2 copy protection – all features that any high-end home cinema in 2018 should have. If you own the original M17 the VM 300 is available for free, while the AM 17 module. A new, factory- fresh M17 V2 forgoes the original’s analogue video MDC module (still present on our unit), although it can be specified as an optional extra. A firmware update then brings the unit bang up-to- date, including exchanging the original Audyssey room EQ software for Dirac Live, and adding BluOS. The latter, a music management and multiroom operating system developed by NAD’s sister brand Bluesound, includes the excellent BluOS app (iOS or Android). You can access ‘net radio stations and music services such as Spotify, Amazon Music, Deezer and Tidal. In the case of the latter two, there’s support for Master Quality Authenticated (MQA) high-resolution audio. NAD’s AM 17 module adds support for Dolby Atmos with decoding for up to 11.2 channels and a 7.2.4 speaker layout. NAD plans to add DTS:X via a firmware update before the year ends – along with BluOS-2i firmware and Apple AirPlay 2 (subject to Apple certification). the spikes if your equipment stand needs protection. A logo on the left-hand of the front panel lights up when the unit is on and doubles as a power button. On the other side is a large volume dial, while in the centre there’s a touch-sensitive display that is both informative and intuitive to use – my only complaint would be that you can’t turn it off completely, which is annoying in a darkened movie room. sure it doesn’t require four AA batteries. On the plus side you won’t have to change them very often, and you can use the controller to club any burglars. The M17 has a simple but effective onscreen menu system, and once I’d wired everything up (using Marantz/ Arcam power amps and M&K Sound speakers) it was fairly easy to set up the processor itself. Operation is user-friendly; the display not only shows the source and volume, but also the incoming audio signal (on the left) and the video signal (on the right). Dirac Live room correction, added by the AM 17 module, is combined with a new calibration microphone and software available for either Windows or MacOS. The implementation is identical to other manufacturers such as Arcam, taking nine measurements to produce detailed EQ graphs. 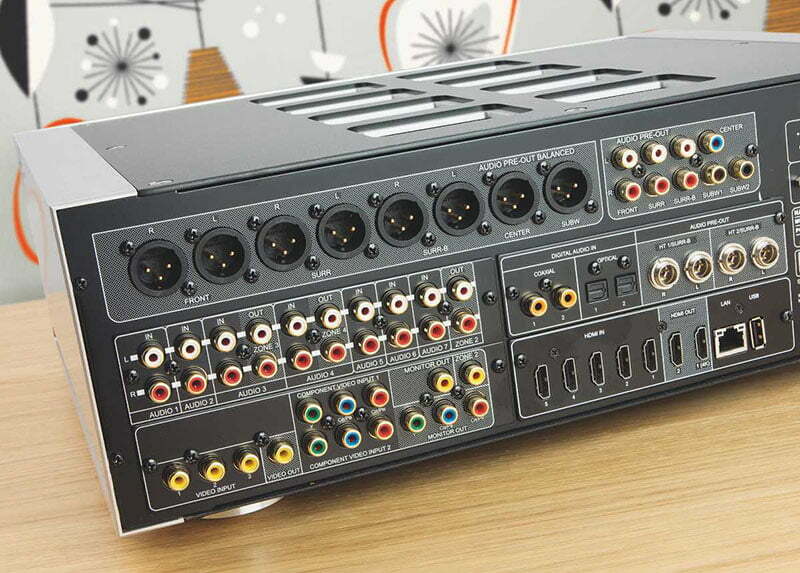 Although the primary reason for buying an M17 is to use it as a surround sound processor, it is equally capable with stereo music content. It aced my regular two-channel tests, and I particularly enjoyed listening to the newly released ‘Memphis’ recordings of Primal Scream’s Give Out but Don’t Give Up. The M17 created a spacious front soundstage, with effective stereo imaging and localisation of instruments. It delivered the first two rockers with all the swagger they deserved, before weaving through the elegantly wasted blues of the rest of the album. However, for sheer all-channel action, the third film’s climactic battle in the Zion docking bay proved an aural tour de force. I had sentinels swarming all round my room, moving seamlessly from speaker to speaker. The guns on the armoured personnel units had a massive percussive impact, delivered with exquisite timing by the processor and revealing its ability to integrate my system’s twin active subwoofers with the wider array. The sub-sonic explosions, as all hell broke loose during the battle, were equally well controlled; atop this, I could still hear dialogue clearly, and the sound of shell casings rattling to the ground. It was a remarkable audio experience. 4K HDR compatibility and Dolby Atmos decoding are now must-have features at this price point, so owners of NAD’s original M17 will be thrilled that the company has fulfilled its promise of upgradability. The addition of Dirac Live is a major bonus too and it really works, eliminating a room’s aural signature from the overall soundfield; the performance here is A-grade, regardless of whether you’re listening to two-channel or a full Atmos system. BluOS integration could perhaps have been better handled, but this adds functionality that gives the new-spec M17 an edge over the (more affordable) Arcam AV860. And, as always with NAD’s MDC components, part of the appeal here is the level of future proofing against tech developments. NAD's processor delivers a masterful surround experience worthy of Masters Series branding, and remains up to date in a rapidly changing AV world. This hi-res multiroom hub offers a 2TB HDD for music storage, CD ripping to FLAC/ MP3, and access to ‘net radio and network stored content. Use the BluOS app to stream all this through the M17 into your cinema room. Glamorous article post.Thank you for sharing.You gave me few fresh ideas.I like your style of writing.Do you write guest blog for Upmixed ocasionally?I’m certain I have read yours articles there a month ago.Sorry if I’m completely wrong.